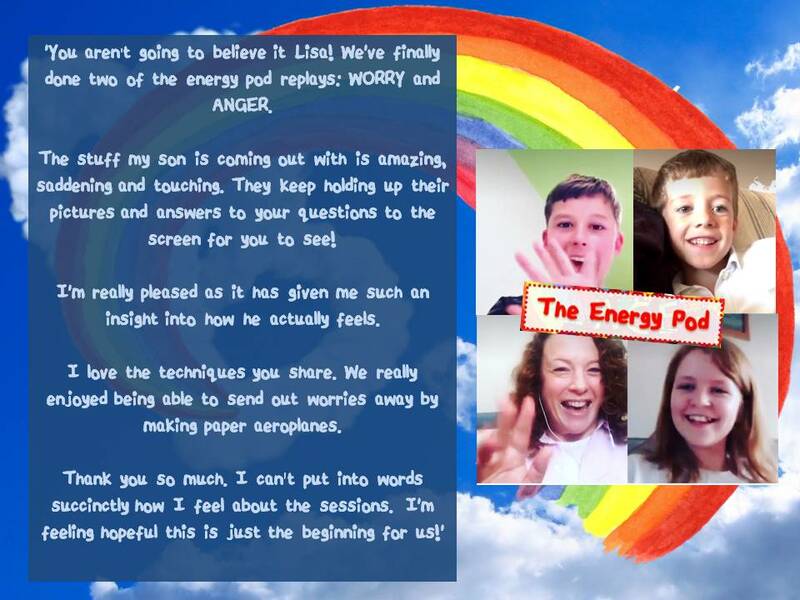 This week, I received an email from a lovely Mum which made me cry. I felt so proud of her because after doing my ‘How to Trust Yourself to Be A Confident Parent Course’ back in February, she recognised she needed to make some important changes. So after lots of back and forth on messenger and encouraging emails, she unstuck herself and just this week watched 2 Energy Pod replays. NO judgement. Actually incredibly brave of her. It was worth the wait though and guess what? …….Nowhere near as bad as she had anticipated. In fact it was fun making paper aeroplanes and talking about feelings. That’s the trouble with fear. It’s not the truth. It’s not real. It wants to keep you safe. So it lies to you. Her worst fear was dealing with the anticipated fall out watching the class on replay. PLEASE NOTE: There was no fallout because I was guiding and talking the children through it. I’m trained to do that and I have a way with them….you’ll see if we work together. I want to help you make that positive change and take action too. So I have a random question for you…..
Do you know how to cook meatballs? I don’t know, but an educated guess tells me that your answer is going to fall anywhere between ‘Yeah it’s my signature dish and cooking: what’s that? !’ Or maybe you’re a vegetarian! Whatever the answer – NO judgement. If you want to shift your perspective on change, you will love this week’s rather random meatball-esque vlog I think it will motivate you (that includes the veggies too!) and see that you can do anything you set your mind to. I know you can. I want to inspire you to take action! and if food doesn’t do it….I’m done! Come on – FOOD is everything isn’t it?! Now it’s your turn to be like that lovely Mum and take action. Whenever you are ready: click here to access all the previous classes or hit the purple button below and take your pick! Catch up with a replay!